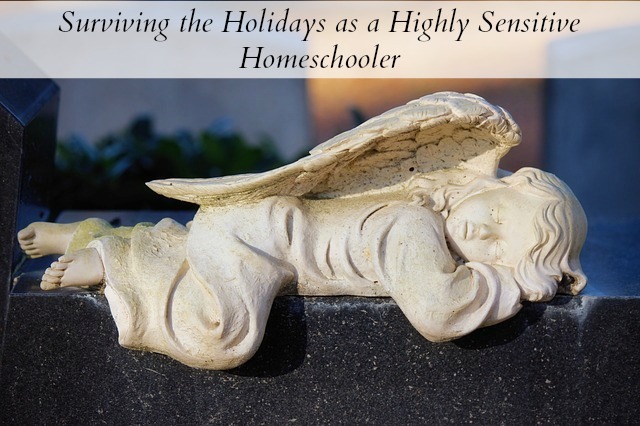 Not sure why God in his goodness ordained that the stressful season of holidays should come right after the November Homeschooling Blahs (if you don’t know what that is I’ll have to do a post on it soon)…maybe the holidays are supposed to be soul filling, but as a highly sensitive mom and homeschooler, it’s hard to experience them that way. I usually feel like I put my head down and plow through none-too-gracefully, then when I come up for air it’s all over and I didn’t enjoy it. And as moms, I’m going to guess that the majority of this falls to you? And you’re not exactly happy about that? So add a serving of envy, anger, or shame on top of the above mess. I’d like to spend the next few weeks exploring ways we as highly sensitive people and homeschoolers can make the month of December easier. Not perfect, because I’m all about reasonable expectations, but easier. I am talking as much to myself here as to you my readers – even when I talk a good game, actually doing it is another matter entirely. 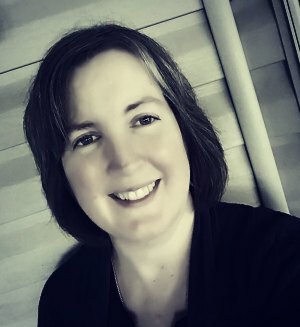 I’ll talk about homeschooling, self care, dealing with others, and more. So take a deep breath with me (iiiinnnnnnn …… ooouuuuutttttt…….) and let’s rock this December thing. My husband got an early start on the decorations. I am so agitated and irritated by the disturbance. Electric lights in the window mean cords everywhere, the annoying sound of timers. All the extra Christmas decorations (and Advent) drive me crazy. It feels like the walls are closing in. It’s extra stuff that crowds the house, and it seems like it never gets clean. The decorations makes me internally not at rest, which makes it hard to settle down and focus on work. Everyone thinks I’m such a Grinch. I’m sorry people are not being understanding! I know what you mean about the externals making it difficult to be internally not at rest. Praying you can figure out a compromise some year! (like misplacing several key boxes of decorations, LOL) I wonder if you are sensitive to the differences in electricity floating around on top of the general clutter.